Teen Scene will meet up for icecream and a movie. We will meet at the Hanceville McDonald's at 5:00 p.m. for icecream and then head over to Wallace at 5:45 p.m. for a free movie. Hope you will join us! Younger siblings are welcome to attend if you feel the movie is appropriate. Please see info highlighted in yellow at the bottom of this posting. Please RSVP to Deb Spradlin at everestacademy1@gmail.com. For more info about Teen Scene, please look here. HANCEVILLE, Ala. — For the third year, The Evelyn Burrow Museum at Wallace State Community College will host the Southern Circuit Tour of Independent Filmmakers. Starting in September, the first of six films will be screened, all of which are free and will include an appearance by the filmmakers for question and answer sessions. The six films showing at Wallace State this year are all documentaries and provide glimpse into lives of the famous and not-so-famous, share stories that have historical significance and intrigue, and celebrate different cultures and diversity. 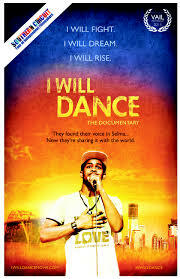 “I Will Dance” is the first film and will be shown on Sept. 17 at 6 p.m. The film follows young people from an integrated theater program in Selma as they journey to New York City to dance their hearts out, defy statistics and share their stories. Visit www.iwilldancemovie.com<http://www.iwilldancemovie.com> to see the trailer and for more information about the film. ~Note from Deb. I contacted Wallace directly and asked if this movie is "family friendly". The response is below. Please decide for yourself if this film is appropriate for your family. Independent films aren’t rated, but we have some notes provided from those who screened the films that tell us if there is any explicit content. Here are the notes for this film. I Will Dance: Doesn’t recall anything specific, notes some unkind graffiti.